Fall is the perfect time to explore the beautiful, bountiful treasures of nature. Give each child a bag to pick up their favorite Fall treasures, then head outdoors to explore. After your expedition, come inside and have a show and tell of what each person found. This is a great time to share feelings and thoughts about why each person chose their items. You will discover the inner thoughts and some of your child’s values, too. There are many things you can do with the natural items that you found. But, one idea is to make pictures of leaf people. Sort through your bag of treasures. Lay out the items in piles of different sizes, shapes, textures and colors. 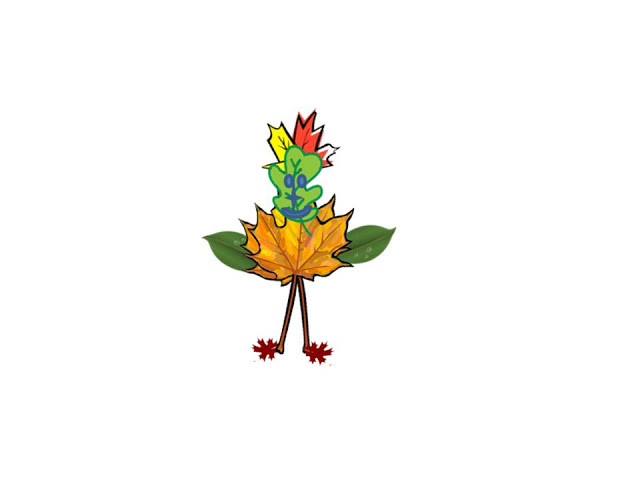 Arrange leaves onto a piece of paper of your choice into people shapes. Markers, construction paper or foam pieces can be used to make eyes, nose and mouth. Have your child make a picture of the whole family using leaves and outdoor treasures. Don’t forget the family pets in your creation. Be sure to have your child sign and date this creation! Copyright 2019 Becky Baxa and Hidden Splendor Ministries.